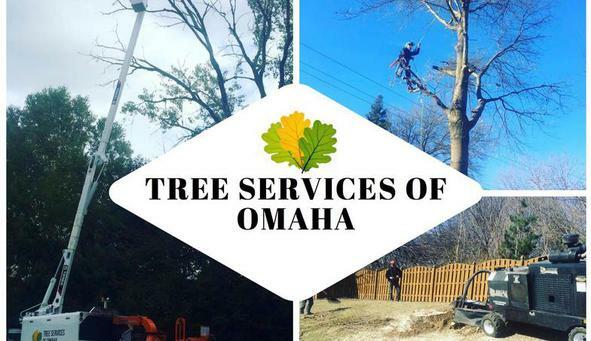 Tree Services of Omaha proudly services: Omaha, Bellevue, Gretna, Ralston, Bennington, Millard, Elkhorn, La Vista, Papillion, Lincoln, Louisville, Ashland, Blair, Fort Calhoun, Council Bluffs Iowa. Winter is here. In some areas of the country this can be the most dreaded term of all. It can often mean snow, blizzards, ice, and freezing temperatures. This is the time of year most of us want to stay bundled up and read a book next to a warm fire. Unfortunately, sometimes these conditions can also take a toll on our household shrubs and trees. Although it is cold out, it doesn’t necessarily mean that we need to ignore everything in our yards. Winter can be a great time to spruce up trees and shrubs, but there are a few important things to consider. Just like a pair of shoes, one size doesn’t fit all. This concept is the same for trees in our landscape. Not every tree can take the harshness of winter in the same fashion. Some tree’s are more prone to broken limbs and other may not be able to survive the extreme cold. Every species has it’s own preference on what is optimal for it’s lifelong health. As an arborist, it is my job to make sure all tree’s are treated/ trimmed properly to ensure that it remains healthy and safe. Most homeowners think you must avoid trimming trees in the cold months, but this is not true. Some species actually prefer a good trim while it is dormant, so that come spring it can blossom with new growth. A few trees that I recommend trimming in the winter are listed below. I prefer to trim oak trees in the winter for a variety of reasons. One of the main reasons that winter pruning is more ideal for an oak tree is due Oak Wilt. Oak Wilt is a disease that is caused by a fungus called Ceratocystis fagacearum. This fungus can attack any species of oak and causes leaf discoloration, leaf wilting and defoliation, and death. During the spring and summer, this fungus can be more easily transferred from one oak to the next, since temperatures are optimal for the spread of fungus. The cooler temperatures help to halt the transmission of this disease, which helps preserve the oak species. Also, whenever you cut a tree you are making a small wound. Just like a human, if our body is unable to heal itself properly we are more likely to get an infection. Same goes for a tree. The tree has to repair the wound, but often times insects will use this as an easy entry point into the living tissues of the tree. During the cold months, bugs are not present which ensures that the tree can more easily heal itself without being attacked. Ash trees prefer to be trimmed in late winter while the tree is still dormant. Late winter is more ideal since the open wounds will not be exposed for a long period of time. Come spring the tree can more easily heal itself and add additional live growth. Also, ash trees have a much softer wood compared to oak trees. When a harsh winter storm rolls through the area, these trees are usually hit hard. It is important to keep all ash trees pruned, and allow for wind to flow through it’s canopy. Always start trimming these trees while they are young, before major structural problems can develop. Elms are a tough species and have been found in our natural landscape for decades. Elms should never be trimmed in the spring or summer, due to the Dutch Elm disease. The beetles are attracted to the scent of the open wounds and will take over the tree. This disease is the number one killer of elms across the US and should be taken very seriously. Elm trees enjoy a cooler climate and can withstand the harshness of blistery winters. It will not hurt or kill an elm if it is pruned within the winter months. Fruit trees will do best when pruned while they are dormant. During the winter the tree is not working hard to product fruit, and the canopy doesn’t need to protect the fruit from sun scalding. It is also easier for arborists to ensure they are making the property cuts to promote optimal growth for the upcoming season. I have never lost a tree from running a tree in the winter, but it is always important to make proper cuts on a tree. Trees are living, just like humans and if you don’t follow proper procedures it can affect the overall health. Always consult with an arborist before trying to tackle any trimming on your own, but I recommend leaving the trimming the the professionals. Trees can be a huge investment to your property and environment, so it’s best to preserve it’s beauty. Tree Services of Omaha - Nebraska is a full service tree care provider in Omaha, Nebraska that offers a wide range of arborist services including but not limited to : Tree Removal, Tree Trimming, Tree Pruning, Tree Shaping, Stump Removal, Stump Grinding, Arborist Consultations, Systemic Tree Injections, and Free Estimates. We have a First Class Arborist License and are also Nebraska Arborist Association Certified. We carry $2,000,000 of General Liability Insurance also. 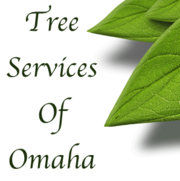 We have the tools and expertise to provide you the best service to protect and preserve Omaha, Nebraska's Urban Forestry. Call us today for you FREE ESTIMATE! Now offering Lawn & Landscape Services as well as Snow Removal Services!